About Me | Plachecki Home Sales @ Keller Williams Ballantyne | 336-264-8933 | Homes for Sale in South Charlotte including Fort Mill & Rock Hill SC. Love where you live … We help turn your dreams into reality! YOUR RESIDENTIAL HOME SELLING & HOME BUYING SPECIALIST! I relocated to the Charlotte area in 2007 with my husband and our two girls. 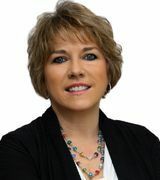 Shortly thereafter I left my career in the medical industry of many years, became a real estate agent licensed in both North & South Carolina, and began my career as a REALTOR® working with Keller Williams Realty. I work with buyers and sellers of all ages, cultures, and walks of life. I work with many investors, builders and developers. I deal with all types of properties and I am a member of the National Association of Realtors and the Piedmont Regional Association of Realtors. As a Realtor®/Broker, I believe I have been successful because of my knowledge of the area and my experience in real estate. My approach is client-centered, I focus on customer service and people more than the commissions. A sense of personal integrity and my commitment to a high level of thoroughness and attention to detail in meeting the needs of my clients'. My clients are the reason I have the opportunity to do what I love. Every day I get the opportunity to help change lives. My clients are my focus and my goal is to earn their business by providing outstanding professional, courteous, and positive service while educating and advocating for my clients. I serve you, my client, tirelessly and with true dedication. You have a choice in who represents and supports you. Let me help you buy your next home or sell an existing property. When you contract with me, you get more than a Realtor – you get a trusted, experienced real estate professional who is committed to you and your family's needs and dreams!